John has a longstanding interest in the production and development of weapons for trench warfare during World War I. 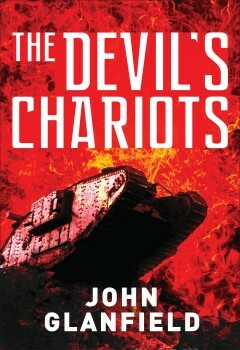 The Devil’s Chariots, his acclaimed history of the tank’s tortuous evolution, followed five years of research largely from original unpublished documents. He also writes on general military and social history subjects including Bravest of the Brave, the Story of the Victoria Cross’ The late military historian Professor Richard Holmes rated it the best single book on the VC. John organised international trade fairs before joining Earls Court & Olympia as Halls Director. Served on government organising teams for London's 50th VE and VJ commemorations, the Hong Kong handover, and London's Queen's Golden Jubilee celebrations. He is an honourable member of the Royal Signals Association and a past member of the Royal Tournament organising Committee. John is married and lives in Guildford.